These exquisite tallitot are crafted of the finest materials and have the traditional tallit blessing on the neckpiece. The colors are bright and the lightweight wool fabric feels delicious. 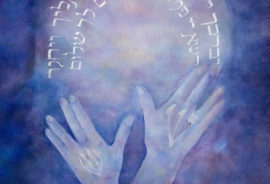 Wrap yourself in a elegant tallit and continue the link of generations back to Abraham and Sarah. The prices can’t be beat! Treat yourself to something special. The small size is perfect for a Bar or Bat Mitzvah. FREE SHIPPING!! Shipping and handling is $10 within the continental United States. Sorry, the matching tallit bag is no longer being manufactured, therefore no longer available. 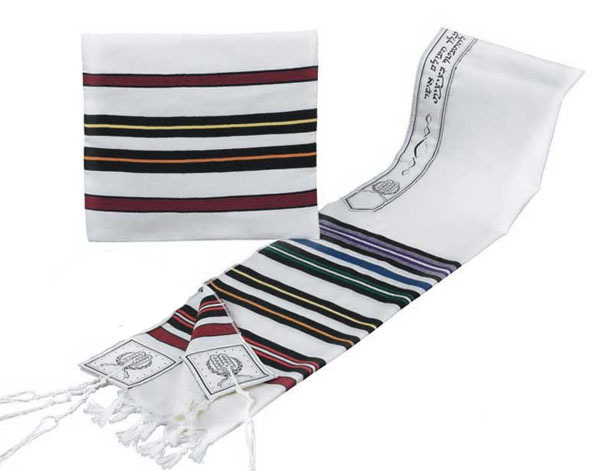 I’ve purchased the smaller size tallit and bag six times for my grandchildren as they became a Bar or Bat Mitzvah. As they continue to grow it’s been a joy to see them wear their tallit at services. I love this rainbow tallis. My husband and I have been wearing these to services for many years. Now I will purchase for my granddaughter as she becomes a Bat Mitzvah. And the prices are the best anywhere.